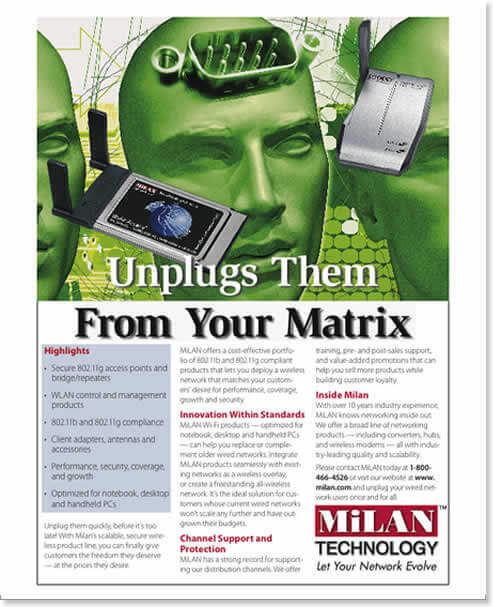 With over 10 years industry experience, MiLAN Technologies knew networking inside out. 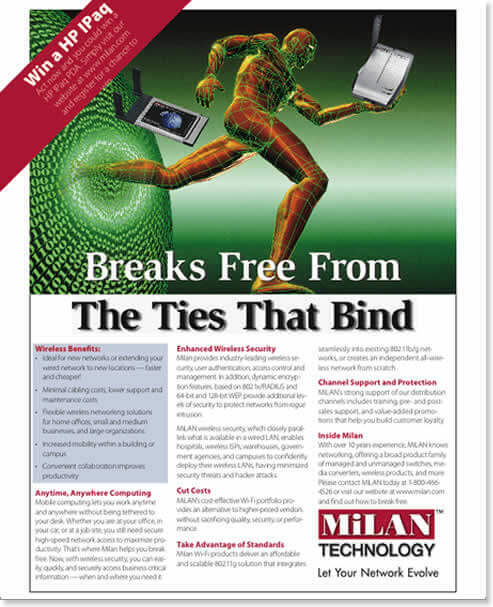 The company offered a broad line of networking products — including switches, converters, hubs, wireless modems, and more — all with industry-leading quality, reliability, security, or scalability. But over the years, organizational and personnel issues resulted in a lack of confidence by key target audiences. A new President was brought in to stabilize the company and reset goals. HiveMind was asked to rejuvenate the company’s messaging and positioning to relaunch an exciting new product line. The advertising campaign suggested that the company was coming out of the shadows without explicitly stating or defending it. Subsequent ads all suggested emergence, which reinforced positioning using products as proof points. 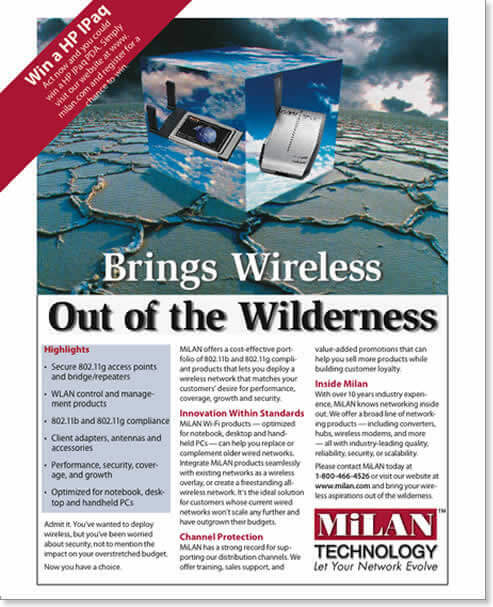 Milan’s awareness increased exponentially from the first to the last and the new product lines gained immediate traction in the marketplace.